It’s no secret that many consumers have lost faith in some big-name banks, who often nickel and dime them on fees at every twist and turn. Digital banking startups have sprouted up to combat large institutions by providing more transparency, charging lower fees, and improving user experiences through increased mobile compatibility. Among them is a highly ambitious start-up called Revolut. It is one of the most successful up-and-comers with over 1.5 million customers who collectively have saved over $160 million in fees according to the company. So what has Revolut done to attract so many customers? Revolut makes it less costly when traveling abroad to pay for things and withdraw money by providing a free, prepaid, multi-currency debit card absent foreign exchange markup costs. When you add up the cost savings, Revolut has some serious appeal. 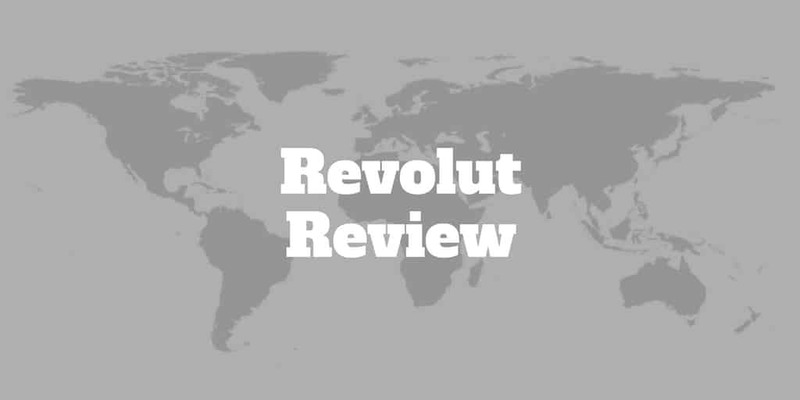 But what else do you need to know about the Revolut Mastercard? What Do You Really Pay When Traveling Abroad? When you travel internationally, bank fees are more than a nuisance. They can really stack up to a hefty amount. Some credit card companies entice travelers with no foreign transaction fees (like Chase does with its Sapphire Reserve card), but most tack on charges when you buy goods and services abroad. And if you have ever found yourself in the unlucky position of needing to withdraw cash from an ATM abroad, you may well have got a shiver up your spine thinking about all the fees destined to hit your account. In addition to the fees charged by the local bank, your own bank frequently adds insult to injury by charging you a penalty fee for using an international ATM too. Not only can ATM fees act like quicksand on your account balance but foreign exchange fees also hurt you when banks charge a “markup” over and above the current exchange rate. That means what you pay is very different from the exchange rate you are quoted online, which is the interbank rate – the rate banks charge each other to perform currency exchanges. Some banks tack on as much as 3% to purchases you make. That may not seem like much when you pay for a coffee but if you are tempted by a Rolex watch or some other expensive item, the fees could really hurt. 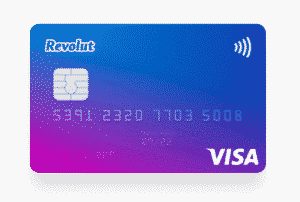 The Revolut card, a prepaid MasterCard, is designed to get around these problems by acting like a local debit card. Instead of carrying a U.S. card abroad, which requires a currency conversion, the Revolut card lets you spend fee-free at the real exchange rate and make free international ATM withdrawals. Revolut also provides a mobile app that lets you hold, transfer, and exchange your money in USD and 25 other foreign currencies at the real exchange rate. So if you are in Paris buying a couple of croissants and you have a balance of 50 USD stored on your Revolut card, you can purchase the croissants at their current price in the local currency without paying any exchange rate markups or penalty fees. It’s as if you were down at your local bakery in the United States paying for the same goods with a U.S. card because the only charge deducted from your balance is the cost of the croissants. Like Xoom, Remitly, and litany of other international money transfer services, Revolut enables you to send money securely to bank accounts abroad. But unlike many other companies, Revolut can save you as much as 8% by using the real exchange rate. And compared to other companies, Revolut has an equally large, if not larger, network of supported countries – currently 120 countries. Cryptocurrency digital exchanges are notoriously expensive when it comes to transactions costs. Coinbase is an early pioneer in the cryptocurrency space and makes it as easy as entering your credit card number to buy and sell Bitcoin (BTC), Ethereum (ETH), Litecoin (LTC), and Bitcoin Cash. But the simplicity comes at the price of high transaction fees when compared to the traditional costs of buying and selling stocks, options, and futures at established brokers like thinkorswim, TD Ameritrade, and tastyworks. The days of high commissions charged by digital currency exchanges who facilitate cryptocurrency trading may be numbered because Revolut enables customers to buy and sell at significantly lower transaction costs. You can buy, hold, and exchange Bitcoin, Ethereum, and Litecoin with 25 fiat currencies at the best possible exchange rate for a fee of 1.5% upfront. We found the setup time is fast, which is in stark contrast to many digital currency exchanges that have cumbersome and lengthy onboarding processes. You can also view real-time cryptocurrency rates on your mobile app, track your performance over time, and receive instant price alerts. Compared to Revolut competitors like Monzo and N26, Revolut has grown its customer base faster thanks in part to over $80 million in venture funding. It hasn’t spent its money only on customer acquisition. 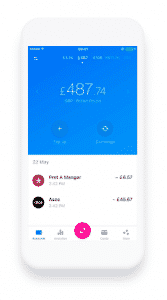 Product development has been a clear priority for Revolut, which has added a budgeting app to its list of product offerings. Like Personal Capital, Status Money, and Mint, you can track your spending and receive notification alerts. 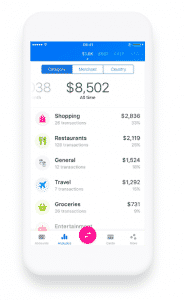 Revolut will automatically categorize your transactions and provides a polished user interface so you can spot spending spikes, whether on restaurants, travel, groceries, or shopping. Not only can you send money overseas, but you can also send money to anyone in your contact address book on your mobile phone. If you wish to send money to family or friends, you can invite them to join Revolut and, with a few clicks, send them money. The money lands in their accounts and can be retrieved when they sign up to Revolut. If you have ever been frustrated at the end of a meal when attempting to split a bill because someone didn’t have enough cash or the restaurant limited the number of credit cards, you will be pleased to discover that Revolut can solve that problem digitally. 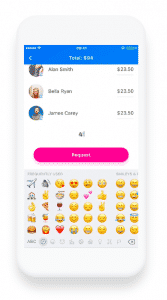 Like its competitor, Venmo, Revolut makes it easy to send and request money easily from family and friends for everything from the restaurant bill to monthly rent or travel costs when abroad. If it seems like Revolut is eating the lunch of other apps and bank services by providing similar services at lower cost, it is! And it’s not stopping with the list of products mentioned. Revolut Partner What It Does? If its current list of partners is anything to go by, Revolut aims to be a one-stop shop for all things banking related. While most of these partners are currently European based, it won’t be a surprise to see Revolut partner with U.S. based firms for similar services too. Revolut was founded when its founder and CEO, Nikolay Storonsky, discovered firsthand from trading currencies at Credit Suisse how high forex fees can be. And while he and his team have undoubtedly built great technology to bring a valuable idea to the world, some growing pains are still evident. While most Revolut reviews by users earn the company top marks, quite a few complain about poor customer service. A common complaint revolves around the lack of human support. It’s clear Revolut is trying to automate where possible with chatbots but they are falling short of the mark with enough customers to warrant concern. A lingering question remains about the extent and timeliness of the support you will receive if your Revolut card is stolen or you send money but it doesn’t arrive. On the whole, it seems like queries are answered and complaints are successfully resolved but not in the timeline expected by customers from a top tier company. With that said, Revolut has raised an enormous amount of venture funding and it would be surprising if a chunk of it isn’t allocated to bolstering its customer service department. Revolut provides two pricing plans, Standard and Premium. The Standard Plan has no cost while the Premium Plan charges a monthly fee of GBP 6.99. Note that cross-currency exchanges are free only up to GBP 5,000 or equivalent per rolling month. Thereafter, a 0.50% fair usage fee applies. If you are ever worried about hitting the limit, you can check your remaining fee-free allowance. ✅ Fee-Free Purchases Abroad: You won’t be hit with penalty fees nor spread markup charges when buying goods and services abroad. ❌ Customer Support: The most common complaint about Revolut is poor customer support when things go wrong like stolen cards or tracking down money transfers. ✅ Multi-currency Accounts: Transfer, hold, or exchange money in U.S. dollars and 25 other currencies at real exchange rates. ❌ ATM Withdrawals: Some customers complain about having trouble when withdrawing funds from ATMs abroad so it is best to bring more than one card with you to be safe. ✅ Free Money Transfers: Send money internationally to over 120 countries free. ❌ Lengthy Delays: Some customers complain about long delays when receiving new cards. 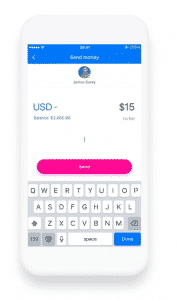 ✅ Send Money Via Mobile Phone: It is free to send money by mobile phone to family and friends who sign up to Revolut too. ✅ Split Bills: No more problems divvying up restaurant checks, you can split bills easily among friends at no cost. ✅ Cryptocurrency Exchange: Revolut charges a fraction of the cost of many other digital currency exchanges to buy and exchange cryptocurrencies. ✅ Free Overseas Medical Insurance: Premium buyers enjoy free medical insurance overseas. ✅ 14% Discount: When you pay upfront for the Premium plan, you receive a 14% discount. Revolut is a digital banking alternative that enables you to buy goods and services abroad without penalty at the real exchange rate using a prepaid debit card. 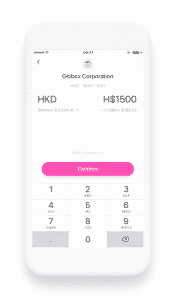 It is free to send money internationally via money transfers and to friends and family locally with a few clicks on your mobile phone. Whether you are exchanging money, spending it abroad, or transferring it, the Revolut prepaid multi-currency card can be used for all purposes and is accepted widely. Premium members even get free medical insurance overseas, which includes dental treatment and access to an extensive network of medical centers around the globe. It is clear Revolut has ambitions to displace just about every other banking need you may have from splitting bills among friends at restaurants to wealth management, lending, and insurance. But all that ambition has not come without some growing pains in the form of less than stellar customer support. While our research shows that the majority of customers are pleased, the few who complain spotlight slow response times and difficulty connecting to humans. If your priority is cost, Revolut is almost unparalleled in the number of services it provides at no cost. And with continued expansion, we expect customer support will improve too.